The rich cultural capital of Palawan, also known as the “city in a forest” is more than simply the jumping-off point for excursions elsewhere on the island. Puerto Princesa has just too much to offer- too many breathtaking sights, adventurous activities and experiences to gain. Waves of migrants from other Philippine provinces, and even other countries, have turned Puerto Princesa into a melting pot of various cultures. Many locals will tell you about the city’s legendary phenomenon, which draws visitors back to this place. That’s not hard to believe at all, after seeing how beautiful Puerto Princesa is and how easy it is to fall in love with it. We have been to Puerto Princesa and we know how magnificent this place can be. In this post you will find interesting and off-the-beaten-path activities to do in the Philippines’ last frontier. Not the ordinary tour you might expect to find around town, the Firefly watching is a real eye candy. The rewarding experience will let you explore not only the fireflies,but also the glowing plankton of the mangrove river. The boat guides are knowledgeable and the beauty of such nature is priceless. The easiest way to get to Iwahig Firefly Watching is by renting a tricycle from Puerto Princesa. The tour pricing vary depending on the agency you use to book. If you book you experience on the spot, it will cost you 600php per boat. The Iwahig Firefly Watching is an eco-tourism project of ABS-CBN’s Bantay Kalikasan. It’s operated by the people of the community and this gives them livelihood. Formerly known as the Crocodile Farm and Nature Park, it serves as the sanctuary of the Philippine Crocodiles, from newly hatched to scary behemoths. Located south of Puerto Princesa, the center takes care of other animals like bearcats, ostriches and variety of birds. While the conservation is not quite to the European standards, the staff working there really cares for the animals. The cages are spacious and well maintained and some animals, such as the bearcats have open enclosures. If you feel adventurous you can visit the small cafe in the complex, where they are selling crocodile meat. One of the most famous meals is the crocodile sisig, which is stir fried minced crocodile meat with rice and vegetables. A UNESCO World Heritage Site, this globally famous attraction has put Puerto Princesa in the map after being hailed as one of the new wonders of the world. Paddle-boat your way through the world’s longest navigable river located at the Subterranean River National Park. The park is famous for its stunning sights of white beaches, diverse wildlife, and verdant rainforests. When you reach Sabang, instead of boarding the boat to the Underground river, walk to the attraction via the Monkey Trail. This trail will take you through the lush jungles that surrounds Sabang, and you will be rewarded with sights of wild monkeys. It will be easy to navigate your way, as there are many signs to point the direction. Just a short trycicle ride away from Puerto Princesa, you will find a collection of unspoiled beaches with dazzling white sand and turquoise waters within your reach. You will embark on a sea adventure, visiting one of the reagion’s emblematic islands. Although the boat tours vary, one of the main islands that you will visits are Pandan, Cowry, Luli and Starfish islands. Check with your tour operator, if they will provide you with snorkeling gear if you plan to explore the underwater life. If they don’t, make sure to rent/buy your gear before boarding the boat at the wharf, because there are no other shops at the islands, that have snorkeling gear for rent. Heartman beach complex is another option for exploring Palawan’s beautiful coastal side. 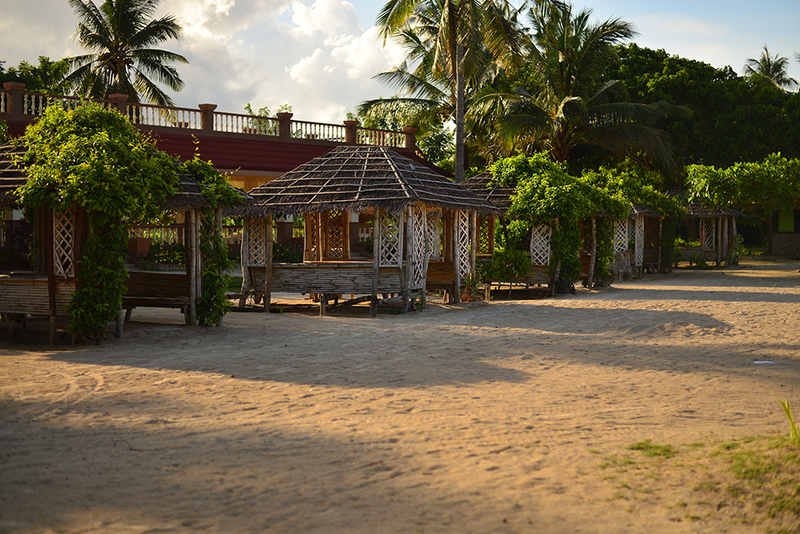 There is a small entrance fee to the beach complex, which includes a drink and a hearty meal at the beach bar. 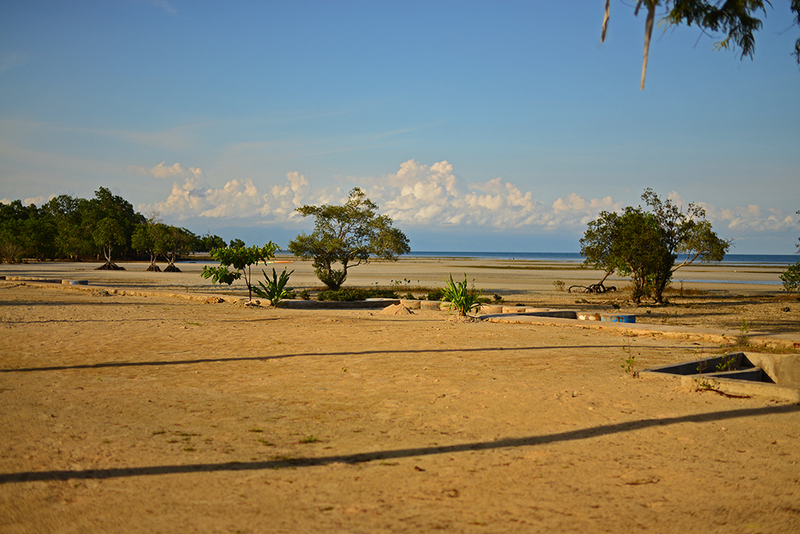 Cobblestone walkways surrounded by the mangrove forest lead to the beach side. During low tide the beach stretches out to the horizon, leaving a lot of space for exploration. Have you been to Puerto Princesa? Which are your favorite places to explore around town? 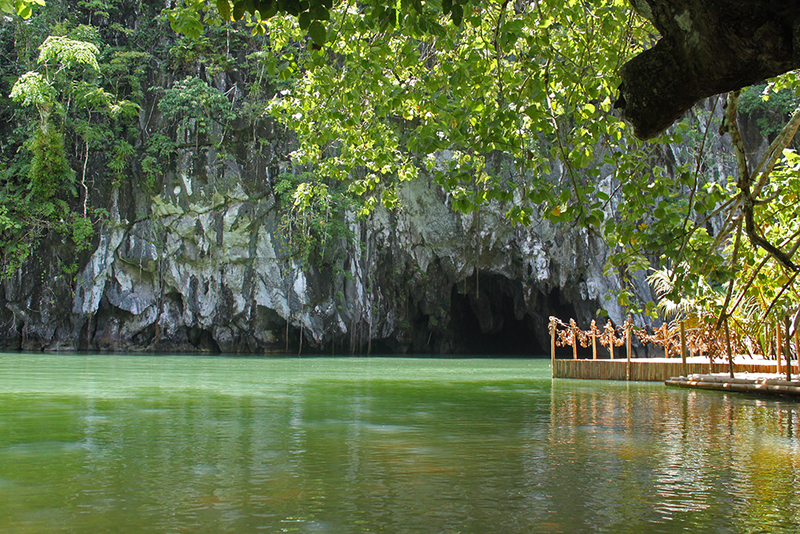 Definitely can’t wait to see the Underground River …. I’ve seen so many pictures. Why does the Philippines have so much awesomeness?! Where in the Philippines are you going to travel?